You are here: Home » MoneyTalk » Additional Topics » How do Bank Transfers Work? Before diving into how a bank transfers work to help someone, it would be best to know what they are. 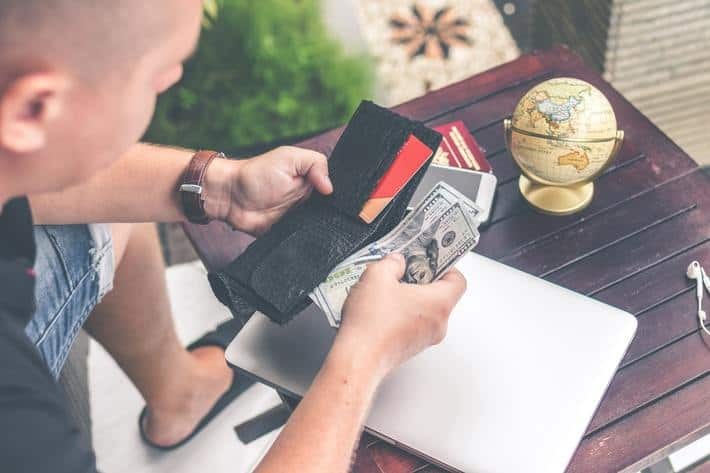 Bank transfers, also known as wire transfers, are a type of money transfer option that allows one to get their funding out of their account, and to whatever other bank account destination they decide to put it in. In short: When people talk about bank transfers, they are talking about the movement of some funding into or out of their own bank account! Many financial institutions offer bank transfers as an option because of the fees that could be charged when using their network services to make it possible. Bank transfers with the same bank: You may use a bank transfer to move money from one of your bank accounts to one of your other accounts within the same bank. For instance, one could do a money transfer from their main checking account into their savings account, or vice versa! Not to mention that most bank transfers within the same institution are typically free. Bank transfers to another bank account or financial institution: Most institutions will allow someone to use their bank account to transfer money into another bank. Usually, these types of transfers may incur a fee, but are usually just as fast as transferring to the same bank. Online: Many institutions now give their customers an online bank account and mobile app to work with, so they could do bank transfers on the go! By following the instructions on-screen and entering the correct information and details, bank transfers save paper and time for those nowhere near their available branch! Over the phone: Calling could be just as convenient, and many customer service and phone lines are dedicated to making bank transfers simple and easy! Most of the time, a bank’s customer service representative will guide the customer through most of the process while in other cases an automated robot voice will be happy to help! In-branch bank transfers: Say if someone happens to have the money in-hand and decides not to work through the hassle of getting it into their bank account and make a money transfer to another person’s bank account. Then that person does not have to fret, since many banks also do in-branch bank transfers that let’s someone come in and get that money to its rightful recipient’s bank account! For the most part, wire transfers are a convenient way to give money out to another account or provide someone else funding that they need. But what are the pros of having money transfer options available in one’s own bank? What bank transfers do for you! Because this money moves quickly in wire transfers, the person getting the money won’t have to deal with the wait for the funds to clear before claiming or using the money. There is almost “no hold” placed on money received via wire transfer. A wire transfer is typically a lot safer as a money transfer option than a check. Checks have a chance to bounce, and it could take several weeks (or even more) to find out that a payment has gone bad. Most transfers could be completed in as little as a single day, depending on how early the money transfer request was sent out. It pays to be a bit more assertive, literally! A typical bank employee involved in the money transfer may just need to complete several tasks before they could make the funds available, but those that are in a hurry to use the money they’ve received via wire transfers, a few phone calls to their respective bank should do the job! Speed, convenience and safety is what makes bank transfers a nice service for businesses and on-the-go individuals! However, bank transfers are not the only way to get funding from one bank account to the other, here’s why! To review, bank wire transfers are a quick, efficient way to move money from one bank account to another through existing banking networks, as well as providing a safe way of providing funding internationally. And like most technology these days, bank transfers have become a much more hassle-free way to move money, especially since most banks allow someone to initiate these wire transfers online and by the phone as well. But one thing that seems to slow down bank transfers nowadays are the fees. Most of these fees for bank transfers are typically between $25 to $85 or more. This means that making a money transfer out of the country is probably a much more expensive process compared to moving money to another bank account from the same country. Luckily, the future has also made wire transfers a much more widely common action because of two words: PayPal. Since its inception, PayPal has dominated as a service that lets people make a free account and make wire transfers to almost anyone who has their bank account connected to the site. Many gift and wire transfers are services that have smaller fees that most people could manage while also providing online email receipts and a process that is just as quick as most common bank transfers. Because of this, there are dozens of similar online companies that make these networks of wire transfers possible from all over the world! Depending on your preference, wire transfers have been made a common way to give others money from the other side of the country through a bank account!